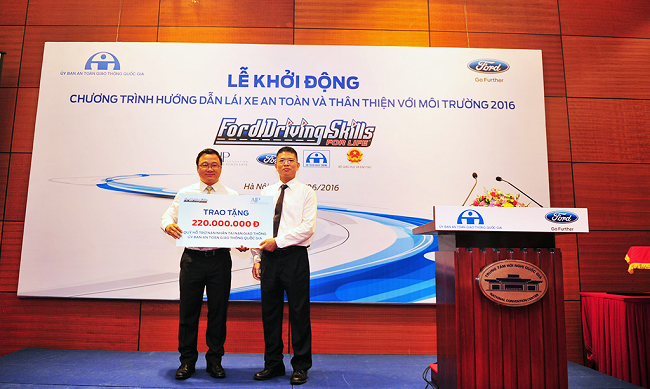 Ford officially kicked off its ninth annual Driving Skills for Life (DSFL) program in Vietnam, aiming to train another 1,500 drivers in sessions across the country. This year, the program will expand to reach university students in Hanoi and HCMC. This year, the program intends to expand the training courses, including driving on highways, on difficult roads and in foggy conditions. Ford not only prioritizes students at driving schools, but also offers complimentary training courses to taxi, bus and truck drivers via the Vietnam Automobile Transport Association and Traffic Safety Offices. The DSFL hopes to reach 11,500 participants by the end of 2016. As part of the Traffic Safety and Order Joint Program 2015-2020 agreement, Ford and the National Traffic Safety Committee have signed the Driving Skills Education for Students in 2016-2020 plan. The plan hopes to update drivers on local laws and regulations, ensure traffic safety, improve knowledge and skills and help drivers remain informed of the dangers of drunk driving. This plan also commits Ford to providing financial support of training sessions at five universities in Hanoi and Ho Chi Minh City in 2016. Training courses provide an overview of traffic laws and safe driving skills, while also improving awareness on the road along with the harmful effects of using mobile devices and drinking while driving. Ford expanded the program following the release of statistics from the World Health Organization, showing that more than 1.25 million people die in traffic accidents each year globally. Of those, 90 percent of the victims are located in the countries with low to moderate incomes. Auto accidents are also the top causes of death among people 15 to 29 years of age. Developing countries are estimated to lose more than 3 percent of annual GDP due to traffic accidents. 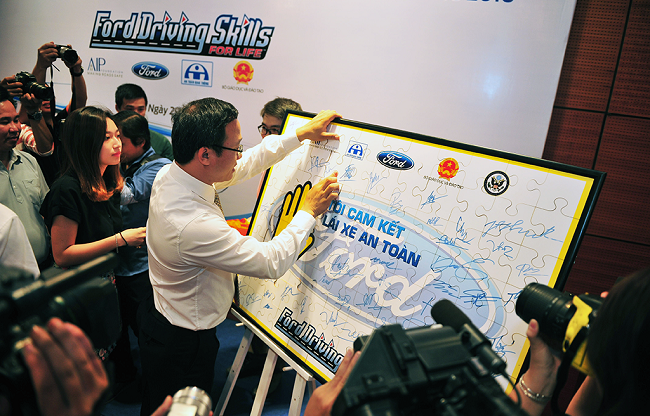 Ford Fund continues to contribute 220 million Dong to the National Traffic Safety Committee to support the victims of traffic accidents. Regionally, over 120,000 people have participated in the DSFL program since it was launched in Asia Pacific. Safe and economical driver training courses continue to be held in more than 330 cities across China, India, Indonesia, Malaysia, Taiwan, Thailand, Vietnam and the Philippines. By the end of 2016, the DSFL global program will have trained more than 700,000 drivers from 32 countries, and thousands more via online courses and university programs.